13 hotels with a sea view are waiting for you in the Bay of Arcachon. 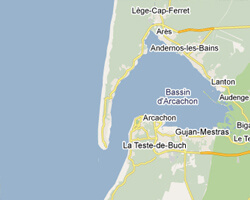 Arcachon Bay is a small inland sea of 155 square kilometers located on the coast of the department of Gironde. This is a good place to oyster farming, fishing, boating and seaside pleasures. Its waters are protected from the fury of the Atlantic by the Cap Ferret. At the seaside you can find gently sloping sandy beaches perfect for families. 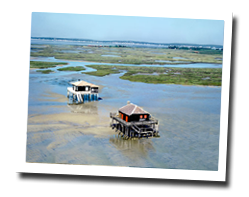 It contains one of the most famous French seaside resorts: Arcachon.On Arcachon Bay enjoy the pleasure of a sea view hotel.